I love cookbooks. But I have to be honest – half the time my cookbooks collect dust while I lament that I have no idea what to make for dinner. This year, that has changed with two new cookbooks that I’ve been making quite a few recipes from. If you are looking to shake up your dinner routine with some delicious new recipes, you might want to check out one (or both) of these cookbooks. This post contains affiliate links. First up, is a cookbook I’ve actually had for awhile but just recently purchased the hardback version (I’d previously had it on my Kindle). 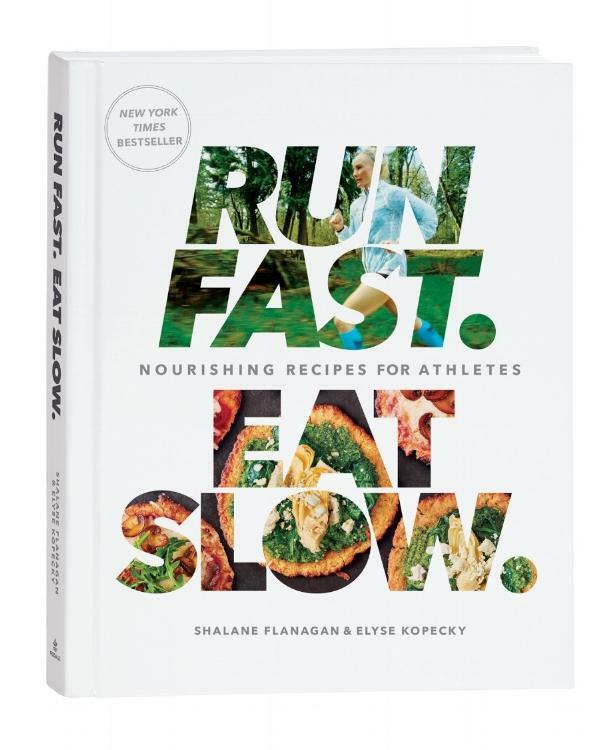 Run Fast Eat Slow by Shalane Flanagan and Elyse Kopecky. This cookbook is chock full of delicious, healthful recipes. The meals are made with real food and while some ingredients were new to me (first time cooking with almond flour – pro tip: almond meal is much cheaper if you order it through Thrive Market! ), I’ve enjoyed pulling together delicious meals. I’ve made and loved the Superhero Muffins, Bison Meatballs (I made these to feed the tribe of women at my house last weekend and they went over very well! ), and the Flu Fighter Chicken Stew. Each thing I’ve made has been just really wonderful. I’m so happy that I got the hardback version of this cookbook and can’t wait to make more from this one! The other cookbook I’ve been obsessed with is The Complete Cooking for Two Cookbook by America’s Test Kitchen. My sister got us this as a Christmas present and it is great. We all know America’s Test Kitchen is fantastic – and this cookbook really meets the mark. I love that the first few pages are product recommendations (I finally bought a dutch oven due to the book’s recommendation – this one if you are curious – it’s awesome). The book also offers some tips for things like mincing garlic and chopping onions. I’ve found this all incredibly useful. AND the recipes are on point. So far I’ve made broiled salmon with pineapple salsa (twice) and the BEST TOMATO SOUP EVER! I’m always striving to find a great tomato soup recipe that doesn’t have a whole ton of heavy cream. The recipe in this cookbook uses 2 slices of bread to create the creaminess. I know. It sounds weird but worked out perfectly. It was so ridiculously delicious. I’m excited about cooking my way through the rest of this one! Any other cookbook recommendations to share? I HIGHLY recommend both of these! I LOVE cookbooks! And I got Run Fast Eat Slow for Christmas and I’m excited to start making recipes from it! A personal favorite is the Victory Garden Cookbook by Marian Morash from 1982. I know it’s older, but I love that it’s organized by vegetable. So you see an amazing looking eggplant at the farmer’s market or are tired of the same old recipe with cauliflower? Flip to that ingredient and you can find something that inspires you. I’m personally a fan in the summer and fall of “Red, White and Blue-Black” which has onions, tomatoes, eggplant and mozzarella. You’ll love RFES – it’s so wonderful! Oooh, you KNOW I love cookbooks! I’ve made lots of recipes from the Run Fast Eat Slow book, but I’m going to check out this America’s Test Kitchen one; you’ve said so many great things about it and I’m so glad you’ve found some good recipes! Thanks for sharing the info! ATF is awesome – and this cookbook in particular is great for smaller families like yours and mine! Agreed. Sometimes just a fresh idea from a pretty book will inspire me! I am the worst about buying cookbooks and then still just microwaving something simple because I feel so busy. I want Run Fast, Eat Slow, but i worry I’ll never actually make anything from it. I would love to hear how you make your schedule work. – Time at your job, all your training, blogging, cooking, and time with the hubby. I end up neglecting cooking and time with others. I just got the Skinnytaste Fast and Slow cookbook and am loving it so far – everything can either be made in a slow cooker or in under 30 minutes or so. Another thought for getting more out of cookbooks is this website called Eat Your Books – it has tons of cookbooks that are indexed by recipe type, ingredient, etc. so that all of your cookbooks are kind of combined into one and searchable, instead of having to browse through every single one! They also have tons of recipes from food magazines and blogs, and it’s really easy to add additional ones from Pinterest, etc. I have a lot of cookbooks because I love baking and cooking, but hardly have time to use them–therefore I’ve stopped buying them. However, I did buy RFES and have enjoyed it. I’ll have to check the other one out. Yes – I really am loving it! Ohhh I’m going to order Cooking for Two! Have fun tonight (not feeling well) and enjoy the weekend!! I have a bunch of cookbooks, but I use the same ones over and over and never crack the pages of the other ones. I tend to cook pretty healthy stuff, but make the same few dishes over and over. I’ve seen Run Fast Eat Slow, but hadn’t heard anyone comment on it – thanks for your recommendation! I think you’d really like them both! Great review! 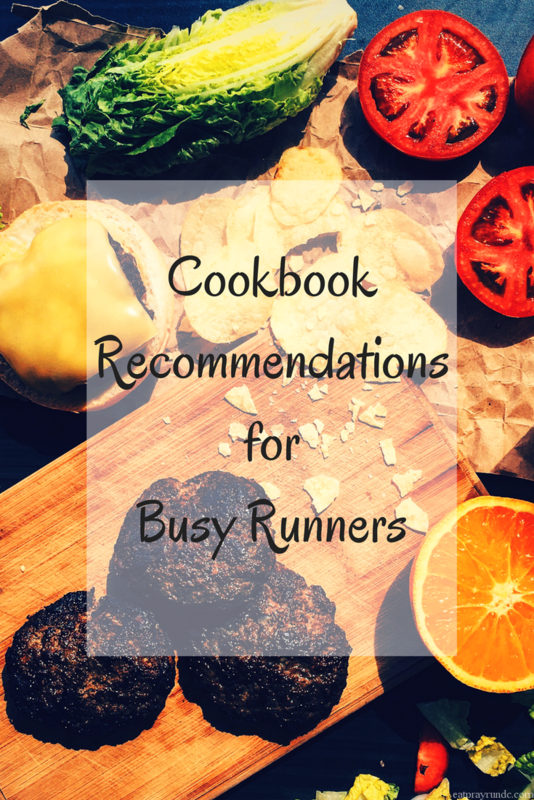 I don’t usually use cookbooks, but I am desperately wanted to get Run Fast Eat Slow! It’s excellent – I can’t recommend it enough! The Complete Cooking for Two Cookbook is new to me – thanks for recommending! I really also love Runner’s World Meals on the Run and Thug Kitchen. I have Meals on the Run as well – I’ve never made anything from it – oops! I love cookbooks also! But find myself in the same routine of dishes everyday. Thank you for the posts, I need to start pushing myself outside of my comfort zone more. These look great . I have RFES on my Kindle but never cook from it because … it’s on my Kindle. I’ll have to check out that other cookbook. I got one of their slow cooker cook books and it was way too complicated. Both cookbooks look great! I keep saying I want to use more cookbooks but usually end up pulling up Pinterest. Having recipes that are quick to make is so important to me! I LOVE RFES! 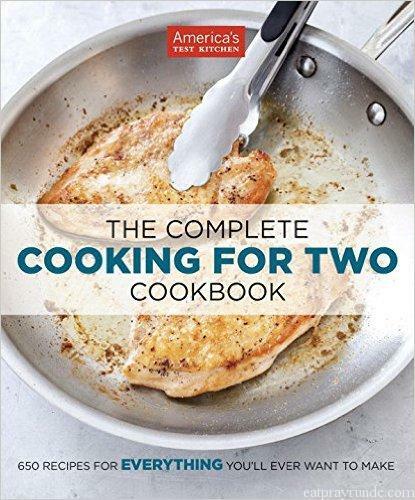 I’m intrigued by “Cooking for Two.” I’m always drawn to books like that but my husband doesn’t eat seafood and I’m a pescatarian so cooking for two can often be a challenge. Do you think there are enough recipes in that book to counter that? I’ve never heard of the America’s Test Kitchen one. I’ll have to check it out. It’s just my boyfriend and I so having a cookbook geared toward recipes for two is incredibly helpful.